There was yet more fashion to be had from our favourite royals, who joined Sheikha Mozah bint Nasser al Missned at the inauguration of King Willem-Alexander of the Netherlands yesterday afternoon. 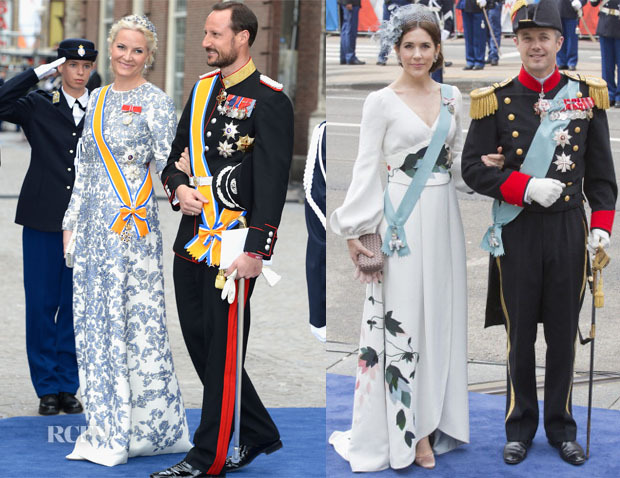 Crown Princess Mette-Marit of Norway: Valentino would be considered one of Crown Princess Mette-Marit’s favourite designers, so I was not surprised to see her don one of their looks for this festivity. Her Fall 2013 white-and-blue gown featuring beaded embroidery, which was presented as a mini dress, was decorated with royal family orders and accessorized with another delightfully subtle tiara featuring ivory-and-blue lace floral accents. Crown Princess Mary of Denmark: My queen opted for a Charlotte Lynggaard white silk dress with a floral print on the skirt and waist, which she styled with the same Prada pumps and Bottega Veneta clutch. On this occasion, she added a blue netted fascinator instead of the more traditional tiara. While this might be considered fairly laidback, she is the epitome of elegance. Camilla, Duchess of Cornwall: Many of you will no doubt consider this look much improved over Sunday night’s look. 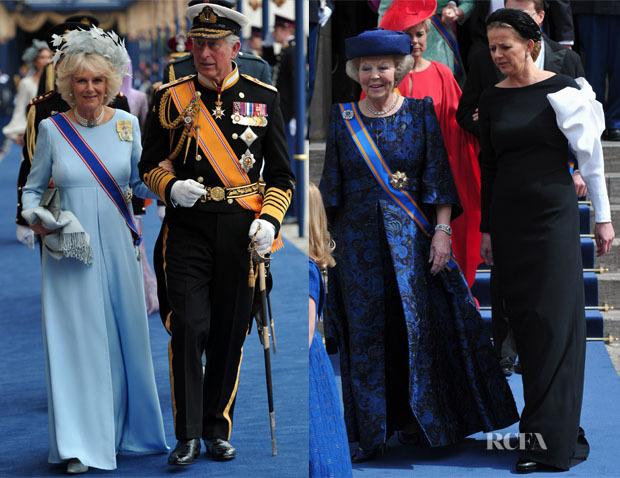 Camilla wore a duck-egg-blue long-sleeved gown, which was her second Bruce Oldfield look of these festivities. The beaming duchess topped off her look with a Philip Treacy feathered hat. She does love a big headpiece. Princess Mabel of Orange-Nassau: Like Camilla, Mabel opted to wear the same designer she wore to the dinner, donning a Viktor & Rolf black gown with a white bow accented sleeve. 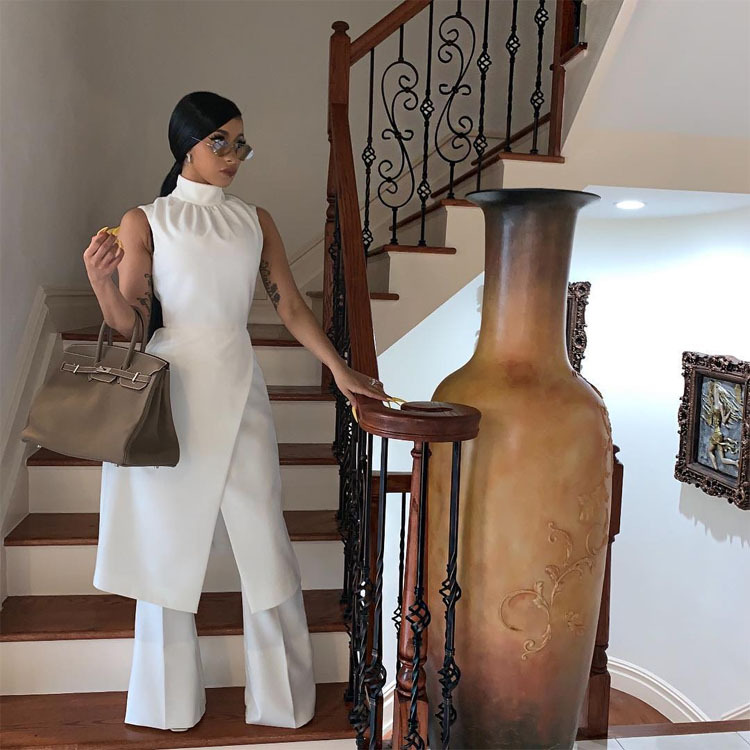 While she’s proving to be quite the fashion risk taker, I don’t love this look for an occasion where everyone else is wearing such summery frocks. Crown Princess Victoria of Sweden: Looking effortlessly chic in a beaded keyhole Escada frock, I love the scene-stealing Philip Treacy hat. 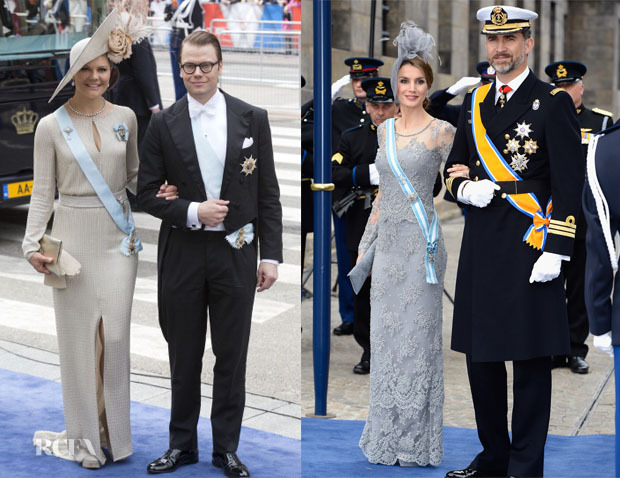 Crown Princess Letizia of Spain: Faring much better, Letizia was the epitome of elegance, wearing a pale-blue lace Varela gown with sheer sleeves. The simple yet stunning creation was styled with Margriet sandals and a Maria Nieto hat.